This depot was built in 1916 replacing a smaller wooden structure that was destroyed when two engines collided in front of it. Constructed of red, wire cut brick with white sandstone trim, the depot was very modern for its time, boasting both a men's and women's waiting room, a spacious station agent's office and a large freight room with "warm room" attached. The tracks to the north of the depot were part of the original Minneapolis, St. Paul and Sault Ste. Marie line, that later became known as the Soo line. 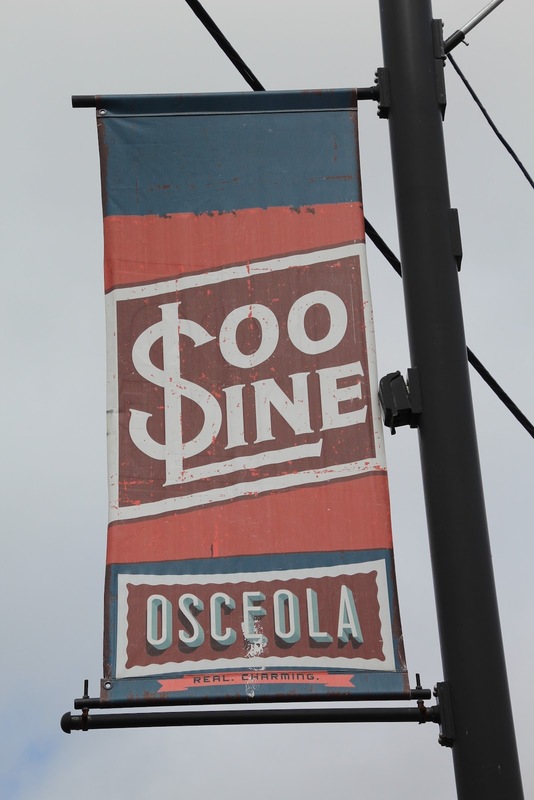 The marker was located at Osceola & St. Croix Valley Railway on westbound Depot Road, west of its intersection with South Cascade Street / Wisconsin Highway 35, at 114 Depot Road, Osceola, Wisconsin 54020. NOTE: I spoke with several people working at the depot at the time of my visit and no one knew what had happened to the marker. 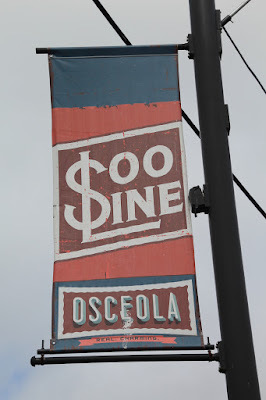 See also, Osceola Bluff, also at this location. Osceola & St. Croix Valley Railway. The marker was located in Osceola, Wisconsin.